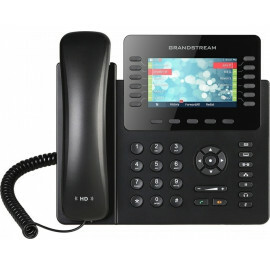 Grandstream GXP1610 is a simple and affordable, entry-level IP Phone delivering a user-friendly VoIP calling experience. 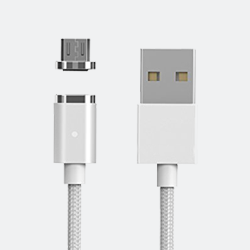 Supports a single SIP Account (1 line), 2 call appearances and 3-way voice conferencing, enhancing business productivity. 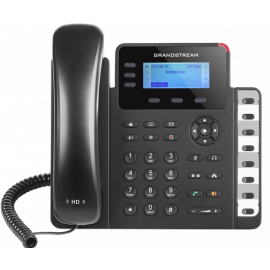 Furthermore, offers a 132 x 48 pixel LCD display for easy viewing, HD Audio, 3 XML programmab..
Grandstream GXP1615 is a simple and affordable, entry-level IP Phone delivering a user-friendly VoIP calling experience. Supports a single SIP Account (1 line), 2 call appearances and 3-way voice conferencing, enhancing business productivity. 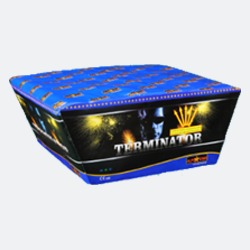 Furthermore, offers a 132 x 48 pixel LCD display for easy viewing, HD Audio, 3 XML programmab.. 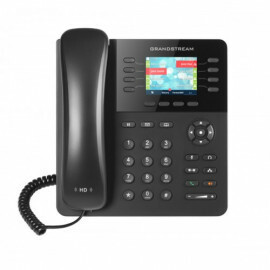 The GXP1620 is Grandstream's standard IP phone for small businesses, this Linux-based model includes 2 lines, 3 XML programmable soft keys, and 3-way conferencing. 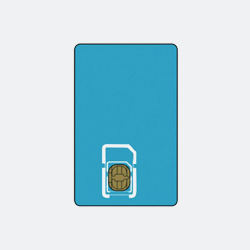 The phone includes dual 10/100M network ports and also supports multi-language and call-waiting. 132*48 pixel backlit graphical LCD display.2 dual-color line ke.. 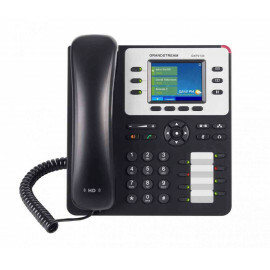 The GXP1628 is a powerful IP phone for small-to-medium businesses (SMBs). 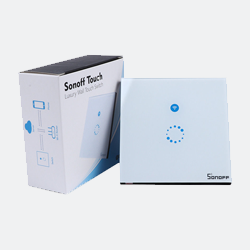 This Linux-based model includes 2 lines, 3 XML programmable soft keys, 8 BLF keys and 3-way conferencing. A 132x48 backlit LCD screen creates a clear display for easy viewing. 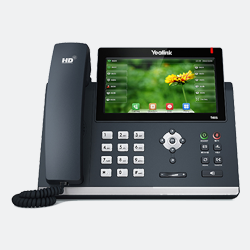 Additional features such as dual switched gigabit network ports, HD audio, multi-language ..
Ένα οικονομικό entry-level VoIP τηλέφωνο από τη Grandstream. Υποστηρίζει 3 SIP λογαριασμούς και έχει 8 προγραμματιζόμενα πλήκτρα.Δείτε περισσότερα εδώ.The GXP1630 is a powerful Gigabit IP phone designed for small businesses to be a high quality, versatile and dependable office phone. 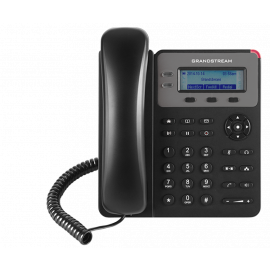 132x64 pixel backlit graphical LCD display.3-line ..
Grandstream GXP1760 is a powerful mid-range HD IP Phone with new sleek design & moderate call-volume features. 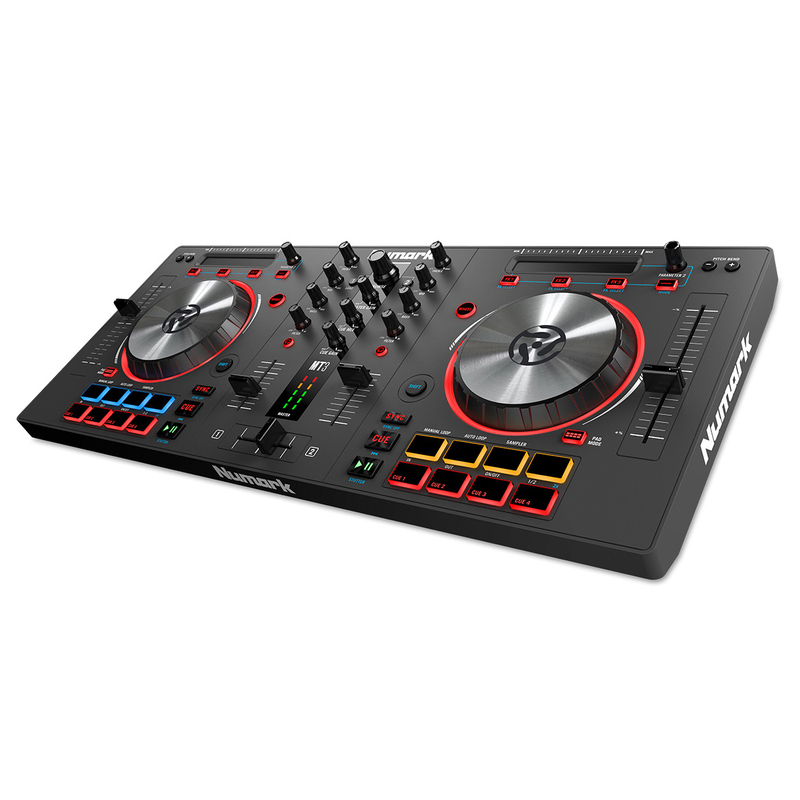 Offers a back-lit, 200x80 pixel LCD display and comes equipped with 6 lines, 3 SIP accounts, 6 dual-color line keys and 4 XML programmable soft keys. For added personalization, GXP1760 features personalized ring tone/ring back ..
Grandstream GXP1780 is a powerful mid-range IP phone with advanced telephony features offering 8 dual-color line keys, 4 SIP accounts, 4 XML programmable soft keys, 5 navigation/menu keys, 8 dedicated function keys plus a 200x80 pixel back-lit LCD display. For added personalization the GXP1780 features personalized ring tone/ring back ton..
Grandstream GXP1782 is a powerful mid-range IP phone with advanced telephony features offering 8 dual-color line keys, 4 SIP accounts, 4 XML programmable soft keys, 5 navigation/menu keys, 8 dedicated function keys plus a 200x80 pixel back-lit LCD display. 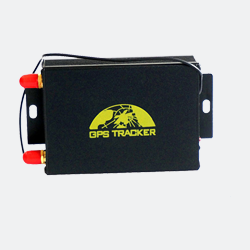 For added personalization the GXP1782 features personalized ring tone/ring back ton.. 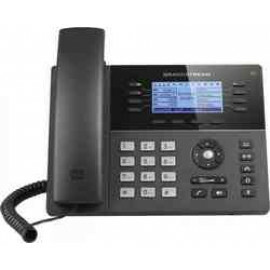 The Linux-based GXP2130 v2 is a standard enterprise-grade IP phone that features up to 3 lines, 4 XML programmable soft keys, 8 programmable BLF extension keys, dual Gigabit network ports, and 4-way voice conferencing. A 2.8 inch color LCD screen and HD audio allow for a crisp display and high quality calls. 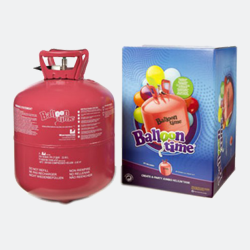 The GXP2130 v2 comes equipped ..
Πρόκειται για νέα και προηγμένη, enterprise-grade IP τηλεφωνική συσκευή πολλαπλών γραμμών που αποτελεί εξαιρετική επιλογή για οποιαδήποτε επιχείρηση, προσφέροντας έγχρωμη οθόνη LCD 2.8 ιντσών, έως και 8 γραμμές, 8 αντίστοιχα πλήκτρα γραμμής dual-color LED με δυνατότητα εμφάνισης πληροφορίας γραμμής στην οθόνη, έως και 4 λογαριασμούς SIP κ..
A versatile Enterprise IP phone, the GXP2140 is a Linux-based device that includes 4 lines, 5 XML programmable soft keys, and 5-way conferencing. 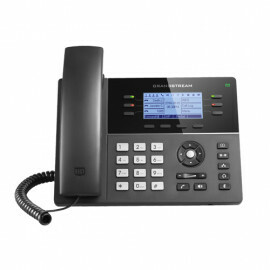 A 4.3 inch color LCD screen and HD audio allow for a crisp display and high quality calls. 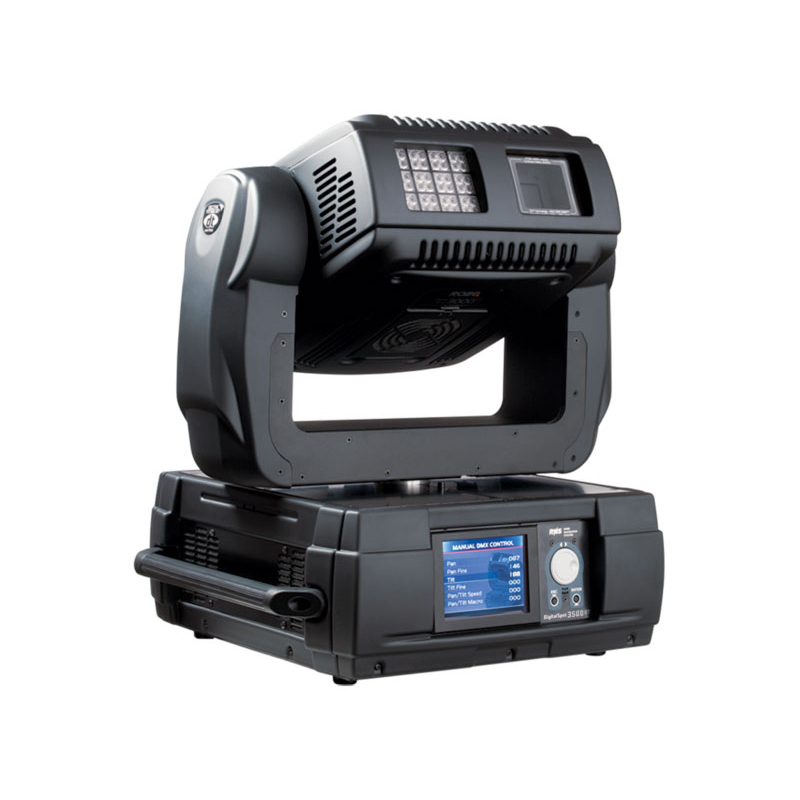 The GXP2140 comes equipped with Bluetooth, USB and EHS capabilities for flexibility. 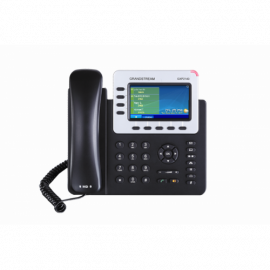 The phone also com..
Our most powerful Enterprise IP Phone, the GXP2160 is a Linux-based device with 6 lines, 5 XML programmable soft keys, and 5-way conferencing. 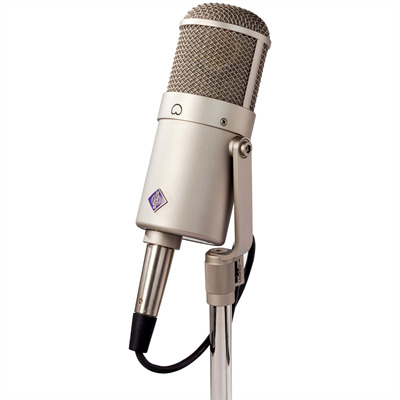 HD audio and a 4.3" color LCD screen create high quality calls, while the 24 BLF keys, Bluetooth, USB and EHS add versatility. 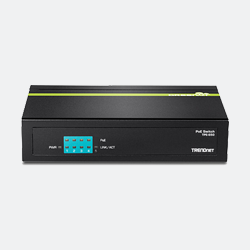 The GXP2160 is perfect for Enterprise & SMB customers with the nee..
Πρόκειται για μια δυνατή, enterprise-grade IP τηλεφωνική συσκευή που απευθύνεται σε χρήστες που διαχειρίζονται μεγάλους όγκους τηλεφωνικών κλήσεων. Αποτελεί την κορυφαία επιλογή στην κατηγορία της προσφέροντας έγχρωμη LCD οθόνη 4.3 ιντσών, έως και 12 πλήκτρα γραμμής με δυνατότητα εμφάνισης γραμμών στην οθόνη, έως και 6 λογαριασμούς SIP κα..